Deutsches TTS Soundpack, basiert auf Shortened TTS and clean sounds by Adam 'ZilexuS' Strandberg. 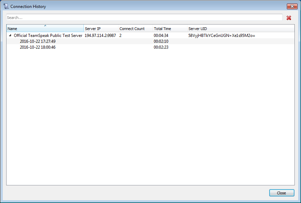 Plugin that keeps track of the servers you connect to, as well as the time you have spent on each server. 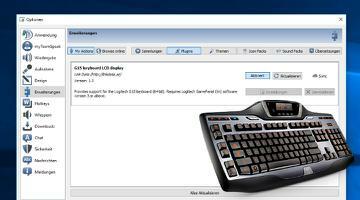 Provides support for the Logitech G15 keyboard. 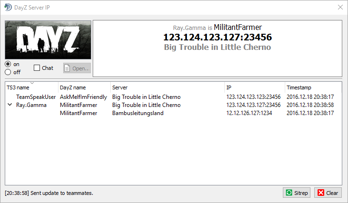 Plugin that allows to read past chat logs without having to connect to a server. 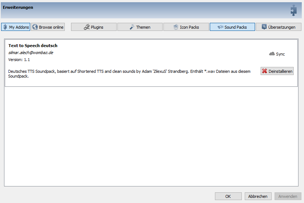 Lua script support for the TeamSpeak 3 client.